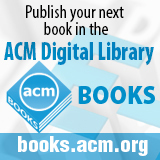 Welcome to the March 20, 2015 edition of ACM TechNews, providing timely information for IT professionals three times a week. Speaking before the U.S. Senate Armed Services Committee on Thursday, Admiral Michael S. Rogers, director of the U.S. National Security Agency and the U.S. Cyber Command, advocated for the development of cyberweapons as a means of deterring cyberattacks like the one that struck Sony Pictures Entertainment last year. Rogers told senators that beefing up digital defenses would never be enough to fully protect against such attacks, saying instead, "we also need to think about how can we increase our capacity on the offensive side here, to get to that point of deterrence." Rogers advocated the use of cyberweapons as a deterrent when he came into office last year, arguing hackers from China and elsewhere who steal data from U.S. companies currently "pay no price." However, Rogers also acknowledged that deterrence in the cyber realm is complex, in part due to the diversity of possible attackers, from nations and businesses to criminals and activists, each of which would have to be deterred in different ways. Rogers said he believes it is important to begin discussing the use of cyberweapons as a deterrent, in part because they are not currently working effectively in this role. Experts say online negotiations can be enhanced if computer programs account for social values such as honesty and trust while interacting with humans. Research led by the A*STAR Institute of High Performance Computing found when automated software agents were programmed to have key social intelligence skills, humans became more trusting of online negotiations. A*STAR's Yinping Yang and her team gave 54 MBA students the opportunity to bargain with software designed to simulate real-world purchasing of laptop computers. Students were instructed to negotiate with an online agent on four key areas--price per unit, quantity, service level, and delivery terms--while prioritizing low unit price. After an initial round of bargaining, the researchers' proactive agent said if the participant ordered in large quantities, it was willing to make concessions in other areas, and invited the student to reciprocate by revealing their priority. The control consisted of non-proactive agents, which merely gave counteroffers to participants without providing additional information. The researchers found 80 percent of the negotiations using the proactive agent were successful, whereas only half of the control group saw agreeable outcomes. Even students whose personalities tested positive for cynical and Machiavellian traits felt more trusting about the online negotiations with the proactive agent. Experts on artificial intelligence (AI) gathered for a panel discussion titled "AI State of the Union" on the future of the field this week at the South by Southwest festival in Austin, TX. One of the main points of discussion was deep learning and the shift away from rule-based AI to pattern-based AI. Syntience CEO Monica Anderson compared it to a shift away from reasoning and toward intuition, noting the human brain devotes far more energy to the latter than the former. Next IT Corp. CEO Fred Brown said one of the key challenges going forward will be finding ways to get AI to recognize context. Brown suggests one way to do this is to design AI to ask clarifying questions. However, the most provocative stance was taken by former Stanford University and Carnegie Mellon University professor Doug Lenat, now CEO of Cycorp, who warned advancing AI technology could make us, "become smarter or dumber--much smarter or much dumber." Lenat argued scientific calculators have made it easier for students to perform complex mathematical tasks quickly, but these students do not understand the underlying mathematical concepts. He also said Google dampens the need for independent thought and inquiry and warned advanced AI could create a society, "where no one has to understand anything about the world, where everything just seems like magic." Speaking at a TED conference session entitled "Machines that Learn," Chris Urmson, the director of Google's self-driving car project, told delegates his team wants self-driving cars to be standard on roads within five years. Urmson explained his son will be old enough to take his first driving test in four-and-a-half years and "my team are committed to making sure that doesn't happen." During his presentation, Urmson discussed Google's aim to create and promote fully autonomous vehicles that do not feature a steering wheel or conventional controls, even as automakers have moved away from that idea and embraced autonomous driving technology in the form of new driver-assist technologies. Urmson shared several examples of unprecedented situations encountered by Google's test cars, such as a child driving a remote-controlled toy car into the roadway, in which the test cars were able to respond appropriately by slowing down or stopping. Urmson said fully autonomous vehicles will do more to cut down on traffic and, more importantly, on traffic accidents than cars using only some autonomous features. Other topics discussed at the session included advances in computer vision and the potential dangers posed by artificial intelligence. According to national data, just 50 percent of science and engineering doctoral recipients who were born overseas end up staying in the U.S. to pursue their post-graduation careers. A recent survey by the Center for Nanotechnology in Society at the University of California, Santa Barbara of 166 international graduate students found the limitations of U.S. immigration policy and H-1B work visas are among the biggest challenges for foreign students interested in pursuing U.S. careers. The study also examined how several professional, social, and personal factors influenced the decisions of foreign students, focusing on three key decisions: whether to pursue higher education in the home country, whether to stay in the U.S. or return home after graduation, and whether to pursue a career in academia or industry. One of the strongest predictors of whether students will stay or leave is whether they want to pursue a career in academia or industry, according to the survey. Students who wanted industry careers had a 90-percent probability of pursuing U.S.-based careers after graduation, but students who planned to pursue academic careers believed they would receive better treatment from colleagues in their home country, and they had an 86-percent probability of leaving the U.S. after graduation. Researchers in Spain have developed a system for detecting the adverse effects of pharmaceutical drugs. The system could be used to track and analyze user-generated content after the clinical trial stage is over and the drug is on the market. The team at the Carlos III University of Madrid (UC3M) applied natural-language processing techniques to analyzing comments on social media. The techniques enable natural language descriptions to be translated into manageable data in comparative studies, which would enable researchers to identify patterns and trends. The prototype contains a linguistic processor based on MeaningCloud, commercial technology from Daedalus that analyzes big data for references to pharmaceutical drugs, adverse effects, and illnesses. "The challenge is to transform these texts, which are currently stored without being analyzed, into structured information, which allows them to be used for clinical and epidemiological purposes to gain new knowledge or to analyze trends which aid decision-making," says UC3M's Jose Luis Martinez Fernandez. The researchers note the first Spanish-language database that makes it possible to compile information about drugs and their adverse effects in the same place has been generated within the framework of this project. The California Energy Commission (CEC) recently released a set of draft standards aimed at increasing the energy efficiency of desktop computers and monitors. The CEC estimates computers, monitors, and signage displays account for 5 percent of the electricity used in the state; in some commercial buildings and offices, that rises to more than 10 percent. The CEC estimates its proposed standards could cut electricity bills by $340 million. The new rules particularly target the amount of energy desktop computers consume while they are idle. A CEC study from 2014 estimated the average desktop computer spends 61 percent of the time "on but user-inactive." The commission wants to cut the amount of power desktops consume while idle by half starting in 2018. The proposed standards have been welcomed by organizations such as the Natural Resources Defense Council and the Consumer Federation of America. However, the Consumer Electronics Association's Doug Johnson says a standards-based approach to energy efficiency in computers is a bad fit, noting the industry is constantly improving energy efficiency as a matter of course. Critics counter that although this may be the case with laptops, tablets, and other electronic devices, desktops in particular have not kept up with increasing efficiency in other parts of the industry. University of Illinois at Urbana-Champaign (UIUC) researchers have demonstrated the first-ever recording of optically encoded audio onto a non-magnetic plasmonic nanostructure, a breakthrough they say could lead to multiple applications in information processing and archival storage. The photographic film property shown by an array of novel gold, pillar-supported bowtie nanoantennas (pBNAs) was exploited to store sound and audio files. The storage capacity of pBNAs is about 5,600 times larger than conventional magnetic film for analog data storage, indicating a wide range of potential storage uses. The researchers demonstrated the technology's ability to store sound and audio files by creating a musical keyboard or "nano piano," using the available notes to play the song "Twinkle, Twinkle, Little Star." The researchers showed the pBNAs could be used to store sound information either as a temporally varying intensity waveform or as a frequency varying intensity waveform. As part of the demonstration, eight basic music notes were stored on a pBNA chip and then retrieved and played back. "In the work that we present here, the pBNAs serve the role of the photographic film, which we can encode with audio information via direct laser writing in an optical microscope," says UIUC professor Kimani Toussaint. To determine if on-demand cab service Uber is less expensive than conventional taxis, University of Cambridge researcher Cecilia Mascolo compared Uber's prices with those of New York City's Yellow Taxis. The team made a 2014 Freedom of Information Act request for the data associated with New York City Yellow Taxi journeys during 2013, which covered hundreds of millions of trips and comprised 50 GB of data, and included the location of every pick-up and drop-off, as well as the fare paid for each journey. Mascolo's team took the coordinates of each journey made in a Yellow Taxi in 2013 and then asked Uber how much it would charge for the same journey using the least-expensive version of the service. Uber provided an estimated minimum and maximum possible fare, which the researchers used to take an average and compare it against the Yellow Taxi fare. "Uber appears more expensive for prices below $35 and begins to become cheaper only after that threshold," the researchers said. "Our observations show that it might be financially advantageous on average for travelers to choose either Yellow Cabs or Uber depending on the duration of their journey." The researchers have developed an app called OpenStreetCab to enable consumers to compare Uber prices with the equivalent journey in a Yellow Taxi. Researchers at the University of California, San Diego have been awarded NVIDIA's 2015 Global Impact Award for developing an accelerated graphics processing unit (GPU) code to simulate earthquake physics. Yifeng Cui and his team at the university's San Diego Supercomputer Center (SDSC), in conjunction with the Southern California Earthquake Center (SCEC), developed the code to create more detailed simulations of high-frequency seismic waves in the range of 0-10 Hertz. They used the Titan supercomputer at Oak Ridge National Laboratory to simulate a 7.2-magnitude quake using a complex geometry representative of the San Andreas Fault. Their code scientists for the first time were able to simulate ground motions from large fault ruptures with frequencies as high as 10 Hertz in a physically realistic way. The code, known as AWP-ODC, ran an estimated five times faster on NVIDIA GPUs than it would have on conventional architecture. SCEC researchers are using the AWP-ODC code to calculate probabilistic seismic hazard models for California. Calculations for those models require multiple earthquake simulations, making the initiative particularly compute-intensive. "The GPU capabilities, combined with the high-level GPU programming language CUDA, provide the tremendous horsepower required for acceleration of numerically-intensive 3D simulation of earthquake ground motions," Cui says. Seventy undergraduate and graduate students at the Massachusetts Institute of Technology (MIT) participated in a one-day hackathon in February to develop technologies and devices that assist people with disabilities. The Assistive Technologies Hackathon (ATHack) took place at the MIT Lincoln Laboratory Beaver Works, and lab manager John Vivilecchia says he has never seen the facility teeming with so much innovation. Several weeks before the event, the 17 participating teams met with clients to discuss how they might be able to help them live more independently. The clients had a range of disabilities, including cerebral palsy, diabetes, paraplegia, and hearing and vision impairments. On the day of the ATHack event, lab workers made sure teams took advantage of everything that was available to them at the facility. A panel of six judges made up of lab engineers and MIT graduate students evaluated the projects based on usability, creativity, and functionality. First place went to a team that designed a Bluetooth-powered mouse that a woman with cerebral palsy could direct by sipping and puffing. Researchers at Lawrence Livermore National Laboratory (LLNL) and General Electric have received a $540,000 America Makes award to develop open source algorithms designed to improve the additive manufacturing of metal parts. The project aims to develop and demonstrate algorithms that will enable selective laser melting (SLM) to produce metal parts that are high-quality and durable. There currently is no effective approach to SLM that reduces problems associated with the method, such as surface roughness, residual stress, porosity, and micro-cracking, and without careful optimization of the process these issues can cause parts to fail. "It's critical to have mechanically robust parts, especially for applications in industries such as aerospace and energy, where part failure could lead to major problems," says LLNL's Ibo Matthews. The researchers are developing algorithms that will be compatible with all three-dimensional printers that produce metal parts. The software will be able to control the scan laser's beam size, scan rate, and power, as well as its powder characteristics and the detailed shape of the part being printed. "There are a number of SLM machines out there, but there isn't a common software that allows them to produce standard parts that are consistent in terms of material properties," Matthews says. During a keynote speech this week at the South by Southwest conference in Austin, TX, Sirius Satellite Radio founder and United Therapeutics CEO Martine Rothblatt shared her vision of a future of fully conscious artificial intelligences (AI) and robotic "mind clones." "There will be continued advances in software that we see throughout our entire life," Rothblatt said. "Eventually, these advances in software will rise to the level of consciousness." She believes that in the future the line between humans and their technology will inevitably begin to blur, with one of the key benefits being effective immortality. Although Rothblatt already has tried to take steps in this direction by commissioning a robotic replica of her wife, she thinks the advent of human-like robots and AI will be a gradual one. "Every company will try to out-Siri Siri until we have consciousness," Rothblatt said, referencing Apple's digital assistant. Rothblatt said she not only believes human-like AI and digital copies of real human minds are inevitable, but when they arrive they will be given equal status to human beings. She even believes such intelligences will have "cyber psychiatrists," which will help them cope with the anxiety of not being fully human.